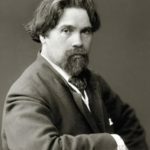 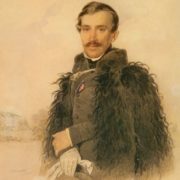 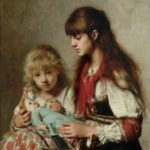 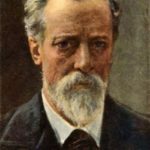 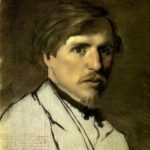 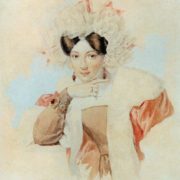 Peter Sokolov was a Russian painter, known for portraits of secular personalities of the first half of the XIX century. 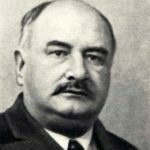 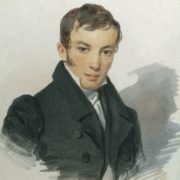 Peter Fyodorovich Sokolov was born in 1791 into a wealthy Moscow family. 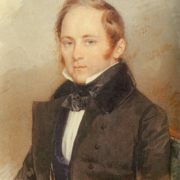 The father, an avid gambler, lost the house and all the property. 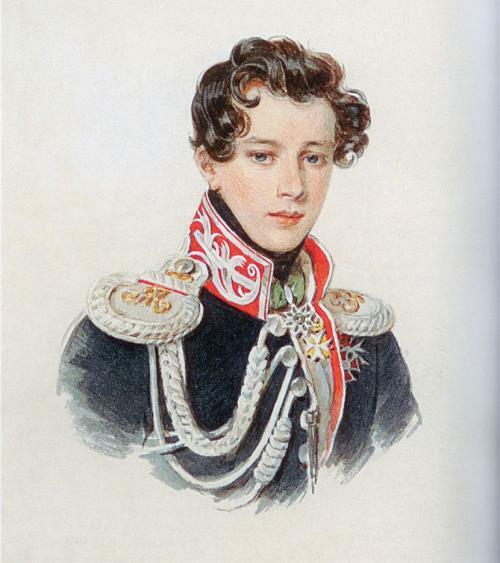 So, in 1800 his wife with her young son was forced to go to St. Petersburg. 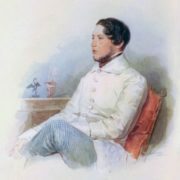 In 1800, Peter became a student at the Imperial Academy of Arts and studied there under the close guidance of Professor V. Shebuev. 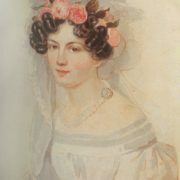 In 1809 the artist received a small gold medal for the painting “Andromache mourns her fallen husband Hector”. 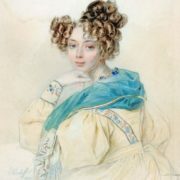 At the end of the course in 1810, Sokolov, not having received the first gold medal giving the right to travel abroad for public account, left the Academy with the title of “free artist”. 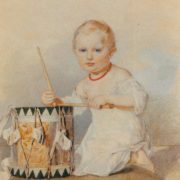 He had to give private lessons and live in families. 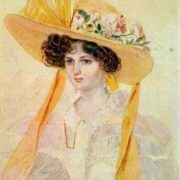 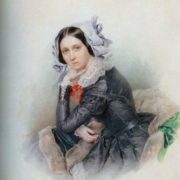 It was a time of fascination with watercolor painting and many rich dilettantes considered it necessary to take lessons. 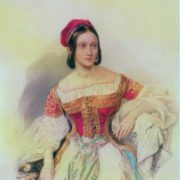 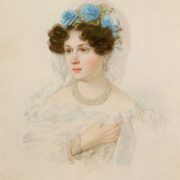 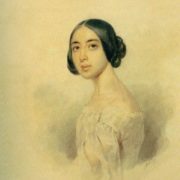 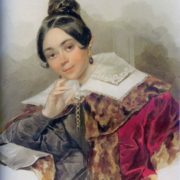 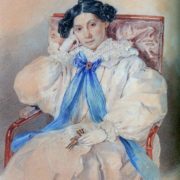 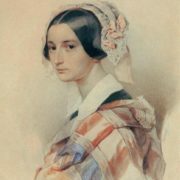 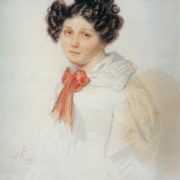 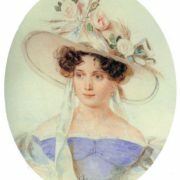 In 1820 Sokolov married Julia Pavlovna Bryullova (1804-1877), the sister of the famous painter K. Bryullov. 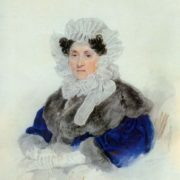 Their marriage was happy and they had four sons. 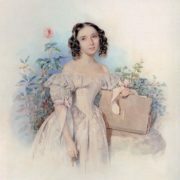 His watercolor portraits, remarkable for their similarity, beautiful drawing and pleasing colors, were especially valued. 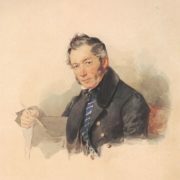 In 1839, he was awarded the title of academician. 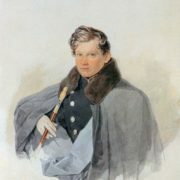 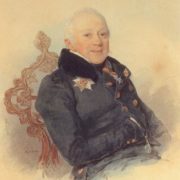 Alexei Nikitich Peshchurov (1779-1840) helped Sokolov in his work on the album Views of Pskov and was the patron of the artist. 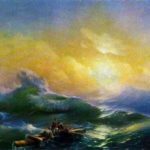 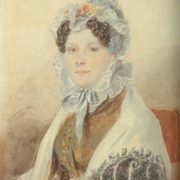 In 1842, the artist and his wife went abroad, where they stayed for a year and a half. 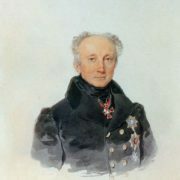 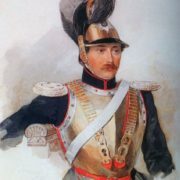 In the fall of 1843, Sokolov returned to Russia. 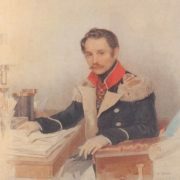 At the end of life, Sokolov finally decided to move to Moscow. 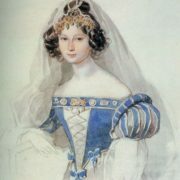 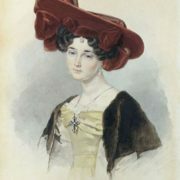 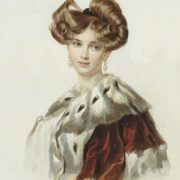 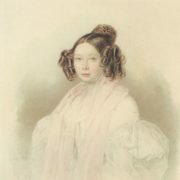 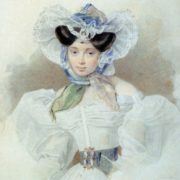 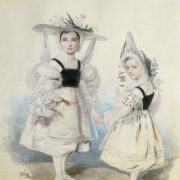 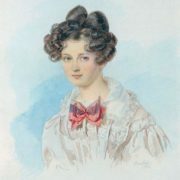 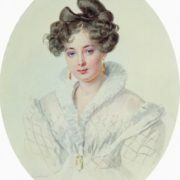 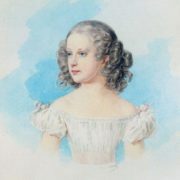 In 1848, at the invitation of the Countess O.I. 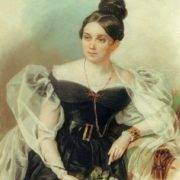 Orlova-Davydova, the artist visited her estate near Kharkov, where he contracted cholera. 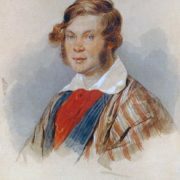 Peter Sokolov died on August 3, 1848 and was buried at the local cemetery. 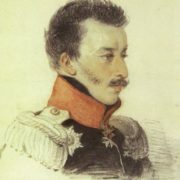 His watercolor portraits are unique windows to the past, through which people who have left the world long time ago look at our modern world: secular beauties and brilliant officers, writers and artists, musicians and statesmen, representatives of the Supreme Court, generals, members of the Patriotic War of 1812, the Decembrists, officials, maids of honor, dandies. 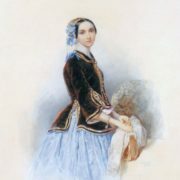 The artist created more than five hundred pictures which are in museums and private collections.